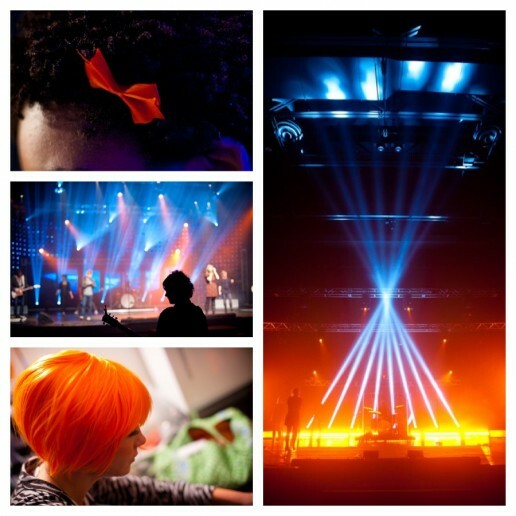 A couple weekends ago it was my privilege to spend a weekend with Elevation Church. It was stretching experience on many levels. This week I’m blogging about a few things that I experienced that I don’t think get covered enough about this church. Unfortunately . . . that sort of growth brings out all the haters in the church. [evidence #1] [evidence #2] But I would say the biggest “untold” story that I saw in the time I spent was the leadership development culture that clearly Elevation is developing. You don’t grow at the rate that have unless you are amazing at identifying, developing and releasing leaders. I gotta be honest. It humbled me. Low Staff to Community Ratio // At Liquid Church we have 1 staff for every 66 people in our church. We’d like to get that closer to 1 staff member for every 100 people. I’ve worked in churches with the 1:100 ratio . . . and felt great about that. At Elevation . . . the ratio is nearly 1:160! (Wowsers . . .swallow hard.) That means that volunteers leaders are running significant parts of the mission on a regular basis. That means that they are able to keep their finances in endeavors exterior to the church. (In 2011 they gave away $2,000,000 to local mission organizations.) You don’t get to anything near that ratio without a firm commitment to battling back the “professionalization” of the church. You only do it by being firmly entrenched in developing leaders at every level. “Off handed” Comments // I like structures and systems. (Shocker.) But what struck me more was how leadership development is bleeding out at every turn as I interacted with people. From the “stump speech” we got from one the key leaders on why their guest services experience isn’t about getting “returning guests” but about “welcoming prodigals home” . . . to the Associate Campus Pastor who I asked what his greatest challenge for 2012 was and his answer being was “how do I develop my core of volunteers to have the same catalytic force of the 18 people who launched this entire church 5 years ago?” . . . to the high school student I got to chat with who volunteers every Sunday morning as a direct support to a key staff member that I asked why he does that and he answered “I want to lead in this church someday so I want to see what that looks like up close” . . . it was everywhere we went. Sure . . . Elevation has a great speaker. They do a fantastic job with music. They are killing the strategic thinking piece. “Everything rises and falls on leadership.” said John Maxwell. This is still true today. This is a great blog on what Elevation church is doing and a great challenge for us at New Vintage Church to start creating systems for leadership development. I’ve been part of Elevation for a little less than three years & volunteering for about 2 years, and you’re right on the money. As great as the stage presentation is, you’re right that the secret sauce is the culture and developing people. I’ve been part of 4 different Elevation campuses (a portable campus that moved into a permanent location, an established portable campus, and helped launch another portable campus) and the culture has been consistent across all of them (though each campus has its own unique feel as well). I find their quality and volume or volunteer leadership very interesting, I would love to learn from this. From what you witnessed how would you say they motivate or attract the quality of leaders that are serving in such large roles? What is it that has attracted such a willingness to serve? Just curious. Andrew . . . I think that is at the core of what makes Elevation . . . Elevation. I think it has something to do with their “we’re going to change the world” culture . . . people want to be a part of winning team. They work hard to build a culture of anticipation (more on that later in the week) . . . and I think that draws people in. Great summary of what they’re doing for leadership development! We are starting off on a journey to see what that would look like at our church up in Canada (www.beulah.ca) – we are joining the leadership network’s leadership development cohort in August. Have any of you participated in this?